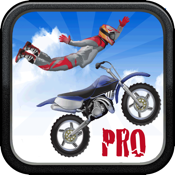 Liked our free version of Dirt Bike Stunt Jump Motor X Racing? But watch out! There are a lot of riders out there and they are coming thick and fast! Will you be able to keep up!!!! See how many crossings you can complete, challenge your friends on Facebook & register your high score to the Game Centre Leaderboard. "Epic fun! Nice one guys!"